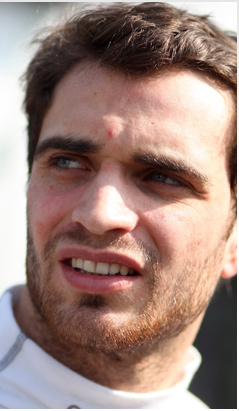 At the very least, the Lazarus trick that Jerome d'Ambrosio pulled off to secure his race seat with Virgin suggests that he is not lacking motivation. Things looked grim when he was replaced for a weekend by Romain Grosjean at DAMS in GP2, but he rebounded with a string of solid results, and more importantly he secured a deal to drive the Virgin in the last few Fridays of the season. Despite driving the car for the first time at Singapore in the wet at night, he was quick enough to impress. He's reasonably strong on the technical side too, and should provide solid support for Timo Glock.